Massage supplies100% cotton flannel face cushion sheet/covers. All styles of treatment tables, face cradles and headrests. 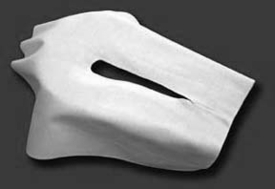 Treat your patient to the comfort of 100% cotton flannel face sheet/covers. Ideal for use on all styles of massage treatment tables, face cradles and headrests.